Author: IUCN. (2000). (L. Blanco & G. Rodriguez, Authors). This series offers concrete suggestions and recommendations for incorporating a gender equity perspective into every stage of the project cycle. 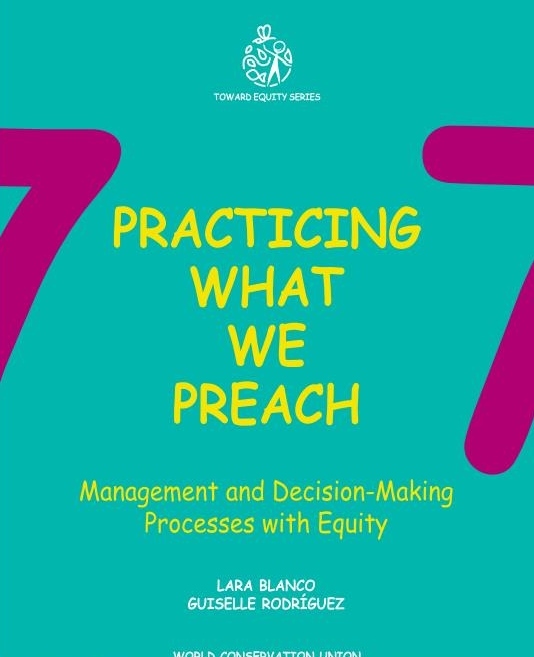 This module of the Toward Equity Series presents definitions for management with a gender perspective, explains the strategic importance of defining policies promoting the application of concrete measures toward gender equity in organizations, reflects on how different types of organizations can be adapted to apply a gender perspective, and considers the promotion and development of personnel from a gender perspective.